Flowers - this is an unusual and very short-livedmaterial, which can be operated by true professionals. 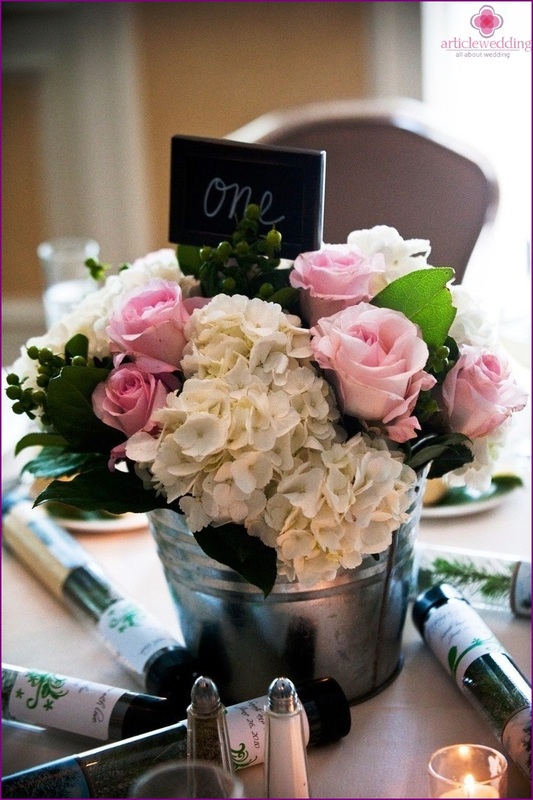 Flower arrangements make it possible to make the decor more elegant and festive, create a special mood, add a bit of fabulousness. Moreover, with the help of colors, you can expressthe emotions that overwhelm you in that day. Cornflowers and daisies prompt guests to your playful attitude, while roses and peonies show your romance. 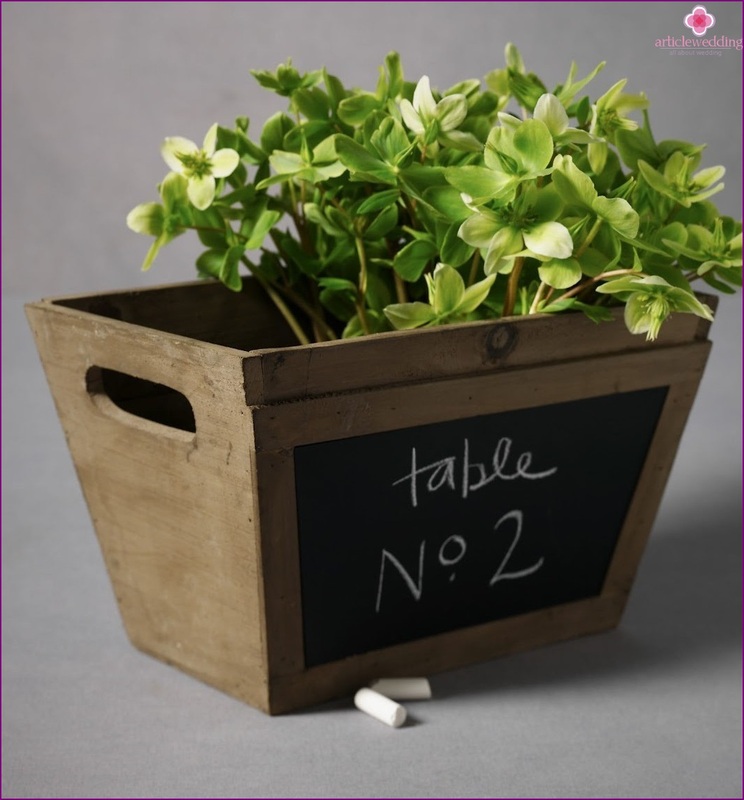 Flowers allow you to add to any decor detail and dynamism, to make room for the truly alive. And what flavor comes from fresh flowers! Do you dream to decorate your wedding so wonderfulaccessories? Then carefully read the master class at the wedding site www.articlewedding.com, in which you will learn about how to make incredibly delicious bunches in pots with numbers for tables. Wonderful pots create an atmosphere of cordiality. 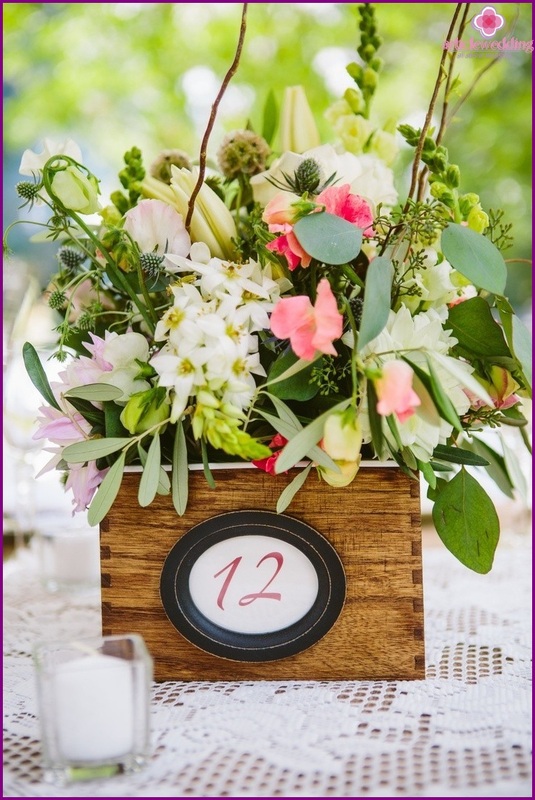 Bride surely will give a lot of colors that you can use to decorate a wedding table in a similar way. 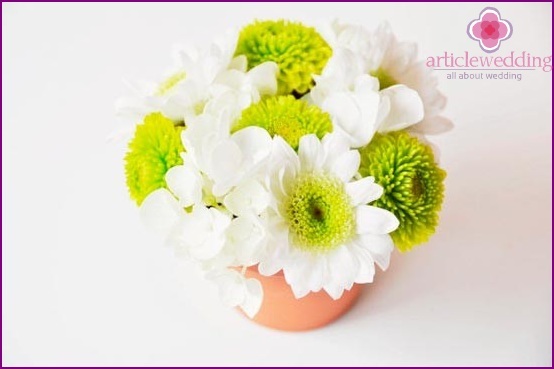 In this master class, we want to tell you how to make a beautiful decoration of daisies. 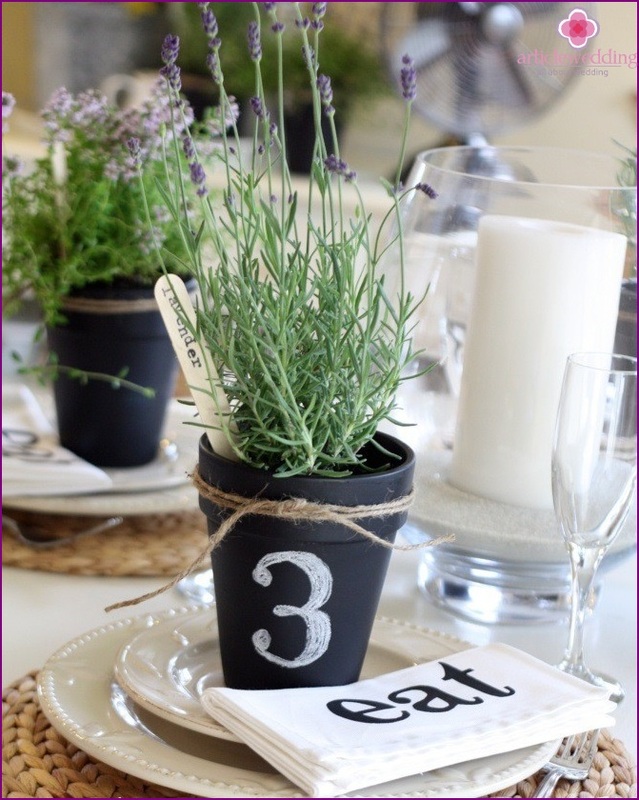 Pots can also be used in sweet dishes or as a focal elements on the tables. 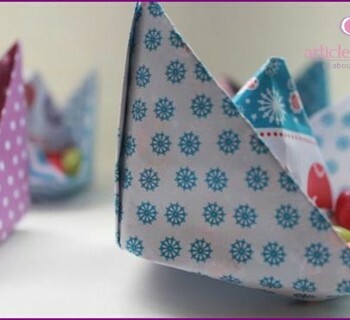 Sometimes the most beautiful things so easy to makeyourself! 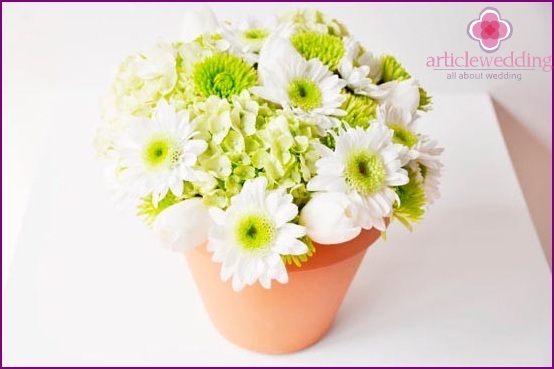 In today's master class you will learn how to make wonderful pots of flowers that will last you a few days. 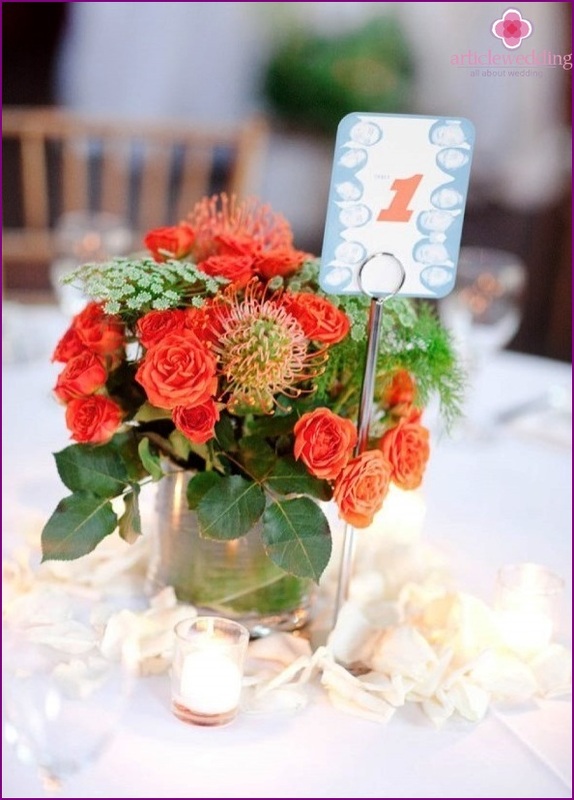 Prepare your favorite colors that will fit in your wedding color scheme. It is best to engage in the manufacture of jewelry before the wedding, the flowers are not wilted. 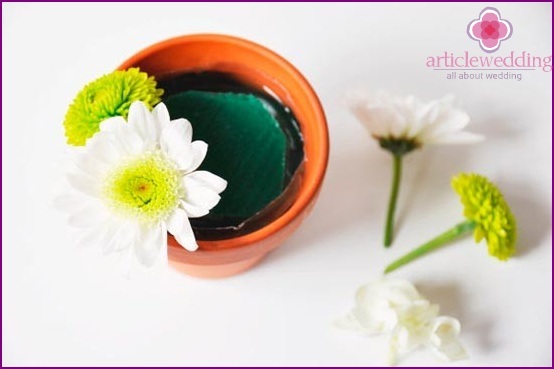 Floral Foam will allow you, as much as possible, keep your floral arrangement, as it absorbs moisture well, and will fuel the stems of flowers and plants. 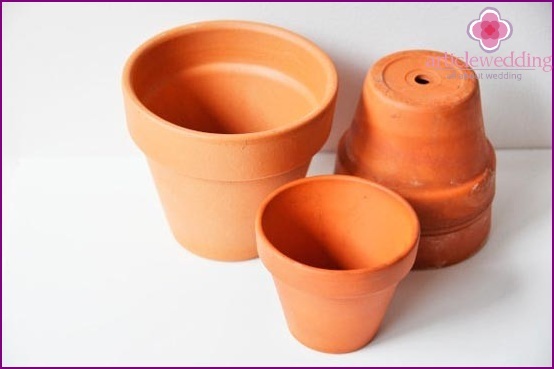 To start pick up a suitable pots. They should not be too small to floral arrangement is not lost on the background of other decorations. 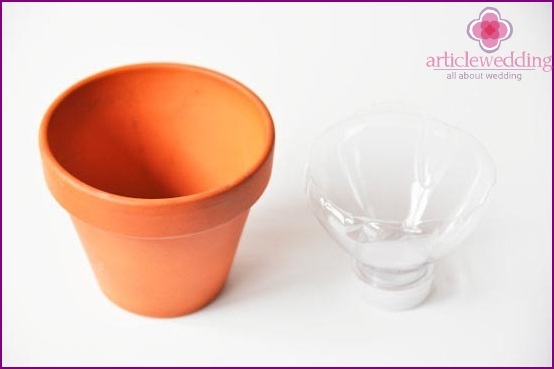 Inside the pots should be placed on the necks of plastic bottles. Simply cut them from old bottles of drinks. 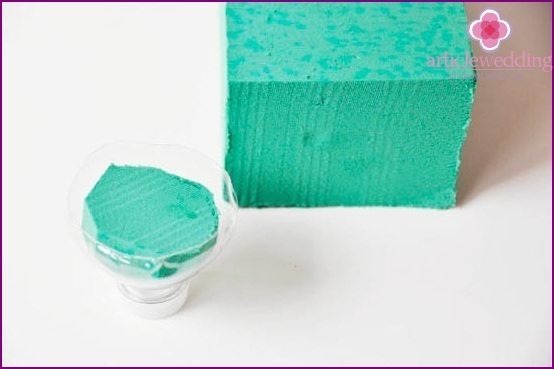 Now you need to cut a piece of floral sponge, which is tightly fit in the neck of a plastic bottle. Dampen the sponge with water, which is so necessary for the supply of flowers. Now is the time to create a floral arrangement. One gently insert the flower stems into the foam. You should not run out of space, the sponge should not be visible. You can vary the colors to your liking. If you are using roses, it is best to cut the thorns. 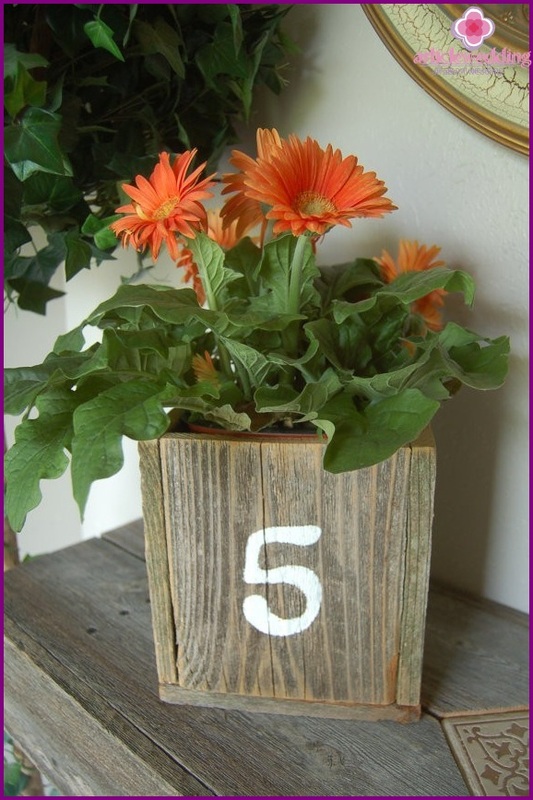 With other plants also try gently to remove foliage. 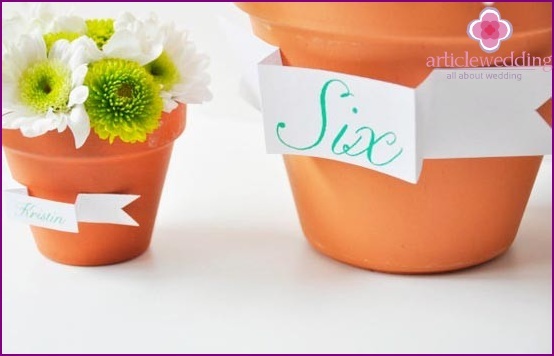 Now we have to decide exactly how youYou will use the flowers in pots. If you want to make number plates for the table, stick to the pot cardboard with numbers or write them a bright marker. 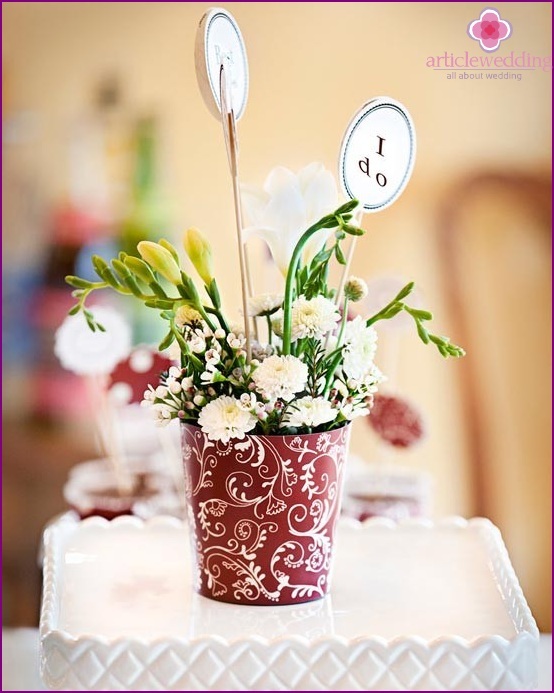 If you intend to give guests the pots in the form of candy boxes, simply insert the stick into the sponge as the guest name. Beautiful flowers in pots can be a wonderful focal element! Your guests will appreciate your creative ideas, because you yourself come up with an idea, create a composition. You can vary the colors, playing on contrastsor use unusual pots made of wood. All these details help create a beautiful fairy-tale decor. 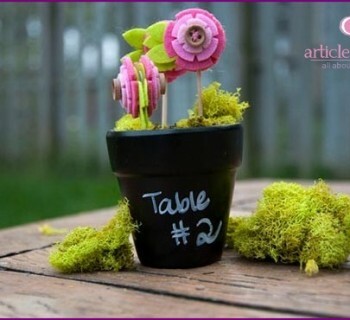 Also you can use different plants, to add a flower arrangement of other shades. 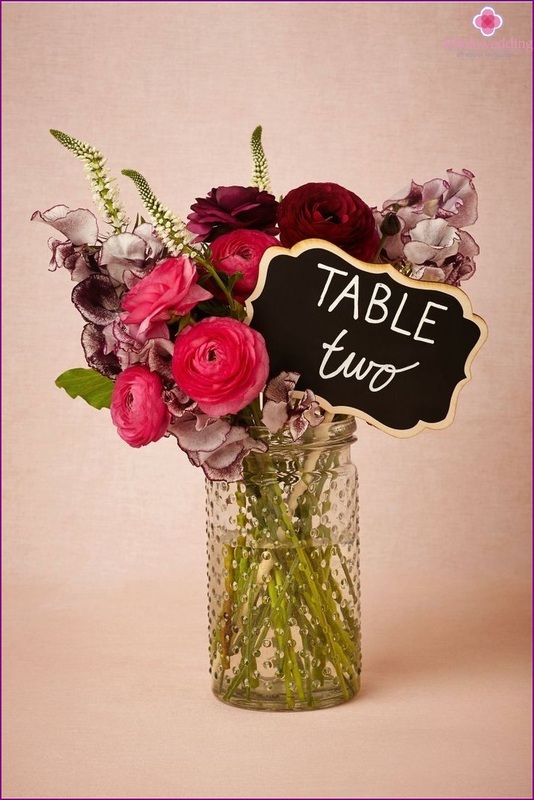 Surprise your guests and create a wonderful decor! 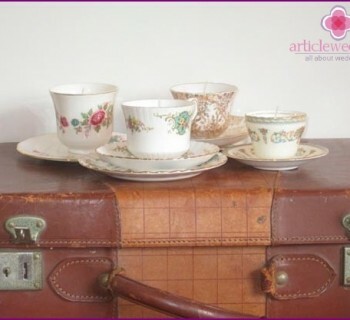 Www.articlewedding.com On site there are hundreds of exciting ideas and wedding master classes, which you can easily implement!